A 2012 interview with the Italian philosopher, who expresses his views on the economic crisis, capitalism as a religion (Benjamin), the role of history in European cultural identity, “bio-politics”, the “state of exception”, and the fate of contemporary art (“trapped between the Scylla of the museum and the Charybdis of commodification”). Peppe Savà: The Monti government is invoking the crisis and the emergency situation and it seems to be the only solution for both the financial catastrophe as well as the indecent forms assumed by power in Italy: is Monti’s perspective the only solution or could it to the contrary become a pretext to impose serious limitations on democratic liberties? 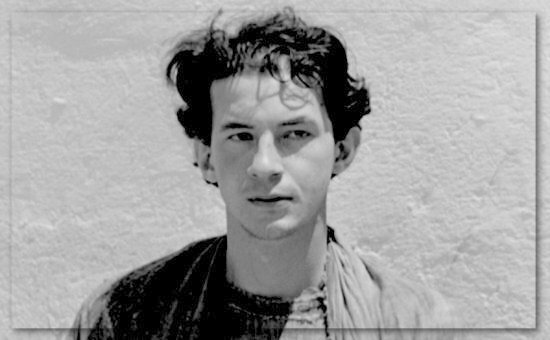 Giorgio Agamben: These days, the words “crisis” and “economy” are not used as concepts but rather as words of command that facilitate the imposition and acceptance of measures and restrictions that the people would not otherwise accept. Today, “crisis” means, “you must obey!” I think it is very obvious to everyone that the so-called “crisis” has been going on for decades and that it is actually nothing but the normal functioning of capitalism in our time. And there is nothing rational about the way capitalism is now functioning. In order to understand what is taking place, we have to interpret Walter Benjamin’s idea that capitalism is really a religion literally, the most fierce, implacable and irrational religion that has ever existed because it recognizes neither truces nor redemption. A permanent worship is celebrated in its name, a worship whose liturgy is labor and its object, money. God did not die; he was transformed into money. The Bank—with its faceless drones and its experts—has taken the place of the church with its priests, and by its command over credit (even loans to the state, which has so blithely abdicated its sovereignty), manipulates and manages the faith—the scarce and uncertain faith—that still remains to it in our time. Furthermore, the claim that today’s capitalism is a religion is most effectively demonstrated by the headline that appeared on the front page of a major national newspaper a few days ago: “Save the Euro Regardless of the Cost”. Well, “salvation” is a religious concept, but what does “regardless of the cost” mean? Even at the cost of sacrificing human lives? Only within a religious perspective (or, more correctly, a pseudo-religious perspective) could one make such plainly absurd and inhuman statements. The economic crisis that is now threatening many European countries: can it be generally conceived as a crisis of modernity as a whole? The crisis that is now affecting Europe is not so much an economic problem, as we are being told, but above all a crisis of our relation to the past. Knowledge of the past is the only way to have access to the present. It is through their quest to understand the present that men—or at least the Europeans—felt compelled to interrogate the past. I have specified that this involved “we Europeans” because it seems to me, granting that the word Europe has any meaning, it now seems obvious that this meaning cannot be political, or religious, or much less economic, but consists in the fact that the European man—unlike, for example, the Asians and the Americans, for whom history and the past have a totally different meaning—can approach his truth only by way of a confrontation with the past, only by settling accounts with his history. The past is not just a patrimony of objects and traditions, of memories and knowledge, but above all an essential anthropological component of European man, who can access the present only by looking at what happened in the past. The special relation that the European countries (Italy and of course Sicily are exemplary from this point of view) have with their cities, with their works of art, and with their landscapes, is not a matter of preserving more or less valuable, but external and accessible, things: it is a question of the true European reality, its indisputable survival. This is why, by destroying the Italian countryside with the concrete of highways and high-speed trains, the speculators, while refusing to deprive themselves of their profits, are destroying our very identity. The very expression, “cultural goods” is deceptive, because it suggests that the term embraces certain goods and excludes others, goods that can be economically exploited and even sold, as if one could liquidate and offer one’s own identity for sale. Many years ago, a philosopher who was also a high official of the nascent Europe, Alexandre Kojeve, maintained that homo sapiens had reached the end of his history and that he had only two choices: access to a post-historical animality (as exemplified by the American Way of Life) or snobbery (as exemplified by the Japanese) that continues to celebrate its tea ceremony, empty and devoid of any historical meaning. Between an integrally re-animalized United States and a Japan that remains human only by renouncing all historical content, Europe can offer the alternative of a culture that remains human and vital even after the end of history, because it is capable of confronting its own history in its totality in order to proceed from there to attain a new life. Your most famous book, Homo Sacer, is a study of the relation between political power and naked life and reveals the difficulties that both terms entail. What is the point of possible intermediation between these two poles? What my research has shown me is that sovereign power has been based since its origins on the separation between naked life (the biological life that in Greece took place in the home) and life as politically defined (which takes place in the city). Naked life was excluded from politics and was at the same time included and captured by its own exclusion: in this sense, naked life is the negative basis of power. This separation attains its most extreme form in modern bio-politics. What happened in the totalitarian states of the 20th century is that power (perhaps by way of science) decided just what, in the final reckoning, is a human life and what is not a human life. In opposition to this view, what we have to do is to conceive of a politics of vital forms, that is, a life that cannot be separated from its form, one that will never be naked again. The boredom, to employ a euphemism, with which the ordinary person confronts politics: is this connected with the specific conditions of Italy or is it somehow inevitable? I think that today we are facing a new phenomenon that goes beyond disenchantment and the mutual suspicion between citizens and power, a phenomenon that affects the whole planet. What is taking place is a radical transformation of the categories with which we have habitually thought about politics. The new order of world power is based on a model of governance that defines itself as democratic, but which has nothing in common with what this term meant in Athens. The fact that this model is, from the viewpoint of power, more economical and efficient, is proven by the fact that it was adopted even by the regimes that up until quite recently were dictatorships. It is much easier to manipulate people’s opinions by means of the media and television than to have to permanently impose every decision by means of violence. The political forms that we once knew—the nation-state, sovereignty, democratic participation, political parties, international law—have come to the end of their history. They remain part of our lives as empty forms, but contemporary politics assumes the form of an “economy”, that is, a government of things and of men. So that our only recourse is to think integrally, based on the principle that we previously defined with the expression, which is otherwise so obscure, of “political life”. The state of exception that you have linked with the concept of sovereignty today seems to take on the character of a normal situation, but the citizens are still at a loss when faced with the uncertainty of their everyday lives: is it possible to attenuate this feeling? We have been living for decades in a state of exception, which has become the rule; as in the case of the economy, crisis is the normal condition. The state of exception that was supposed to be limited in time is instead the normal model of governance today and this is true of the very same states that call themselves democratic. Few people are aware of the fact that the security regulations introduced after September 11 (they had been established in Italy since the Years of Lead) are worse than the ones that were on the books under fascism. And the crimes against humanity committed under Nazism were made possible by the fact that Hitler had taken power and proclaimed a state of exception that was never repealed. Hitler, however, did not have the same possibilities of control (biometric data, surveillance cameras, cell phones, credit cards) that are at the disposal of our contemporary states. One could very well say that today the state considers every citizen to be a virtual terrorist. This can have no other consequence than to diminish and render impossible the participation in politics that is supposed to define democracy. A city whose squares and streets are controlled by way of surveillance cameras cannot be a public place: it is a prison. The great authority that so many people attribute to scholars who, like you, research the nature of political power: is it possible that these scholars can awaken in us the hope that, to use a cliché, the future will be better than the present? Optimism and pessimism are not useful categories for thinking. As Marx wrote in a letter to Ruge: “it is precisely the desperate situation which fills me with hope”. May we ask you a question about the speech you gave in Sicily? Some people have concluded that it was an homage to Piero Guccioni, to an old friend, while others have seen it as a suggestion concerning how we might escape from the checkmate in which contemporary art finds itself trapped. It is true that my speech was an homage to Piero Guccioni and to Scicli, a small city where some of the most important painters of our time are living. There the situation of art is vividly felt and it might be the best place to understand the crisis of the relation with the past that we just talked about. The only place where one can live in the past is the present and if the present ceases to feel the life of its own past, then the museum and art, which are the most well known images of that past, become problematic places. In a society that no longer wants to have anything to do with its past, art finds itself trapped between the Scylla of the museum and the Charybdis of commodification. And since our museums of contemporary art are so often temples of the absurd, both of these things go hand in hand. Duchamp was probably the first person to become aware of the dead end in which art had become interred. Just what did Duchamp invent with his “ready-made”? He took some ordinary object, a urinal, for example, and by introducing it into a museum he compelled the museum to show it as a work of art. Naturally—after a brief period of surprise and shock—nothing can be attributed to its presence there: not the work because it is an ordinary object, just any industrially-produced object, and not the artistic work because it involved absolutely no “poiesis”, no production—and much less the artist, except as a philosopher or a critic or as Duchamp liked to say, as “one who breathes”, a mere living being. In any case it is certainly true that he did not claim to have produced a work of art, but to have cleared the way for art, which was stuck between the museum and commodification. As you know, what happened instead is that a class, one that is still active, of clever speculators transformed “ready-made” into a work of art. And so-called contemporary art does nothing but repeat Duchamp’s gesture by filling the museums, which are nothing but organs of the market devoted to accelerating the circulation of merchandise which, like money, have attained a state of liquidity and which they want to continue to value as if they were works of art, with non-works and non-performances. This is the contradiction of contemporary art: it abolishes the work of art and then puts a price tag on the result. Translated from Italian to Spanish for Rebelión by Susana Merino. "in every motion of these animals unendowed with reason there was nothing ungraceful since, of course, another higher reason was guiding everything they did".